If you started playing in the 1970s, like me, then Istvan Jonyer of Hungary was a God. There's no other way of describing the 1975 World Men's Singles Champion, the big two-winged looper from a time when two-winged looping was still relatively new. He had these long, acrobatic forehand loops, like a discus thrower, looping forehands from the shoulder, and tricky sidespin backhand loops. Everybody all over the world copied these shots. 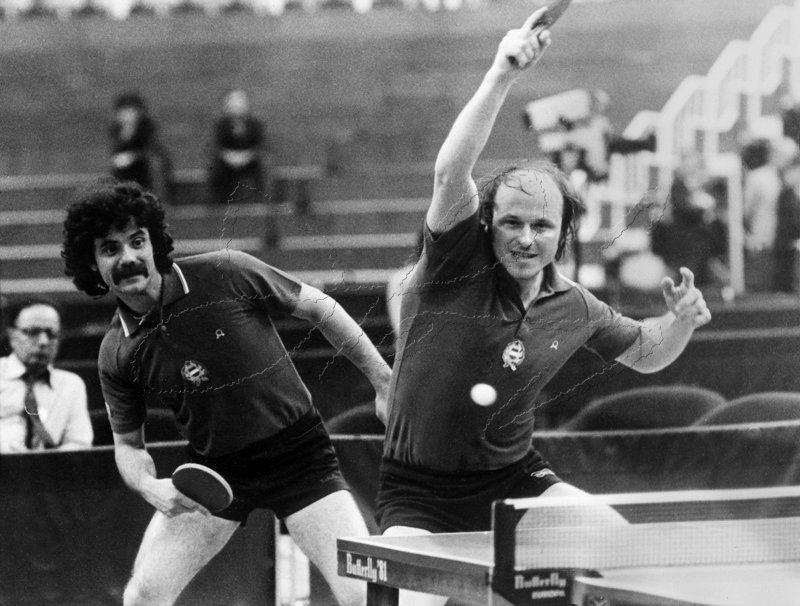 In 1979 he led the Hungarian team (along with Tibor Klampárand Gábor Gergely) when they upset the Chinese team to win the World Men's Team Championships. Other big international names from the past entered include Dmitry Mazunov (the big backhand looper from Russia known for his great doubles play), Zsolt-Georg Böhm (2-time Romanian Men's Singles Champion and then 6-time German Men's Singles Champion), Danish star Allan Bentsen, and many others. There are rumors that 1991 World Men's Singles Champion Jorgen Persson will be playing (oh please oh please! ), as well as Chen Weixing, the great Chinese and then Austrian player. With such a field of players, you probably don't think you have much of a chance to win anything. But that’s not the point of going to the World Veterans Championships (unless you are one of the best of your age in the world) – you go there to compete, meet other players (including the best in the world), have fun, spectate, shop, and enjoy the Las Vegas vacationland. It’ll be a full week of table tennis paradise, where you hobnob with your table tennis friends (old and new) and the stars. You’ll get to attend in person the opening and closing ceremonies, as well as sightseeing and social events planned. So, you are now thinking of entering? Here are the eleven age events, with singles and doubles in each. 55 - 59 years (Born 1963 or before) – stay away, this age group is mine. This will be the largest gathering of table tennis players in U.S. history. Are you going to be part of history?